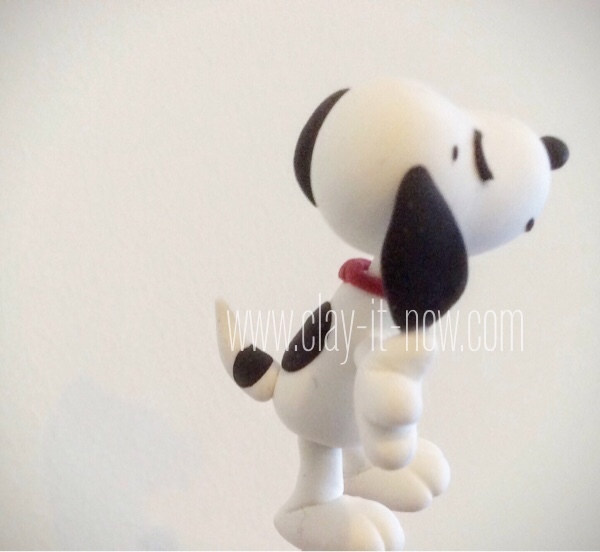 We make Snoopy and Charlie Brown figurine because this two characters from Peanuts are our favorite. 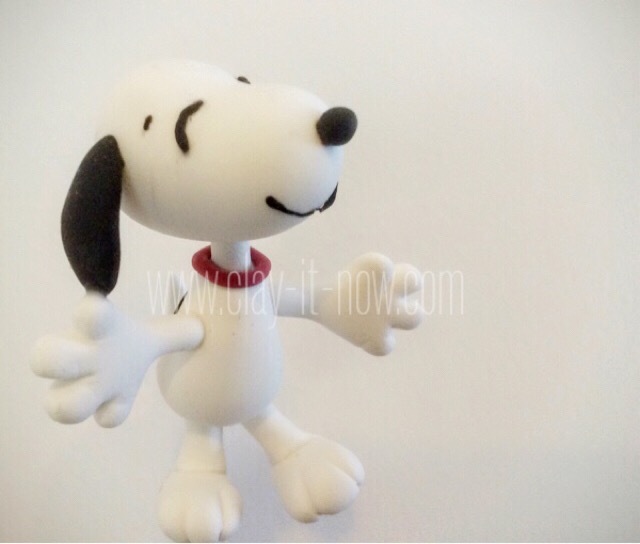 Snoopy is a super confident, world-famous beagle, wildly imaginative hip dog, a master of disguise. Charlie Brown is the lovable looser in the zig-zag t-shirt, the kid who never gives up (even though he almost never wins). He manages the world's worst baseball team...yet show up for every game. He can't muster the courage to talk to the Little-Red-Haired girl...yet keeps hoping. 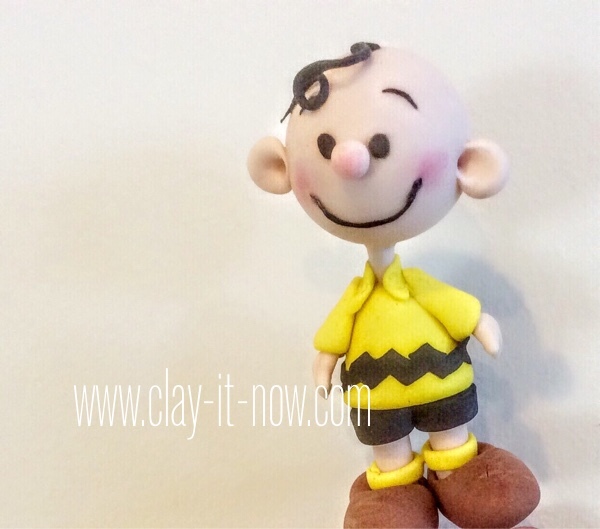 "Charlie Brown must be the one who suffers, because he's a caricature of the average person. Most of us are much more acquainted with losing than winning. Winning is great, but it isn't funny." The 3D movie is coming up and we are looking forward to watch him and the gang. Alright! 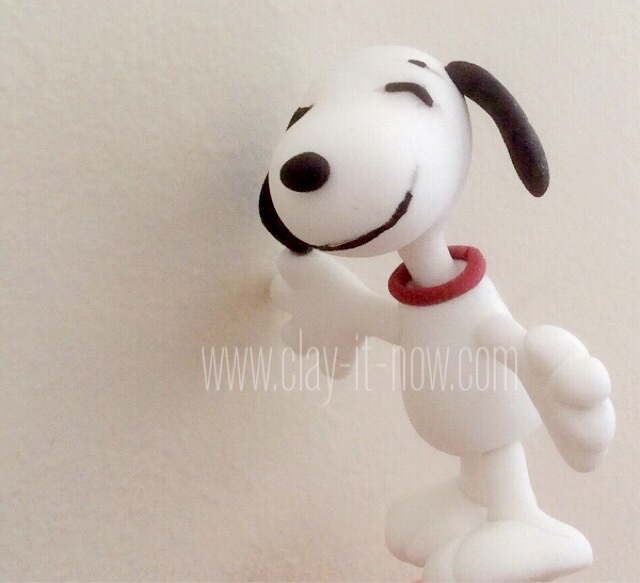 back to our figurine...let's have fun creating the characters with clay. Start with selecting the clay material. 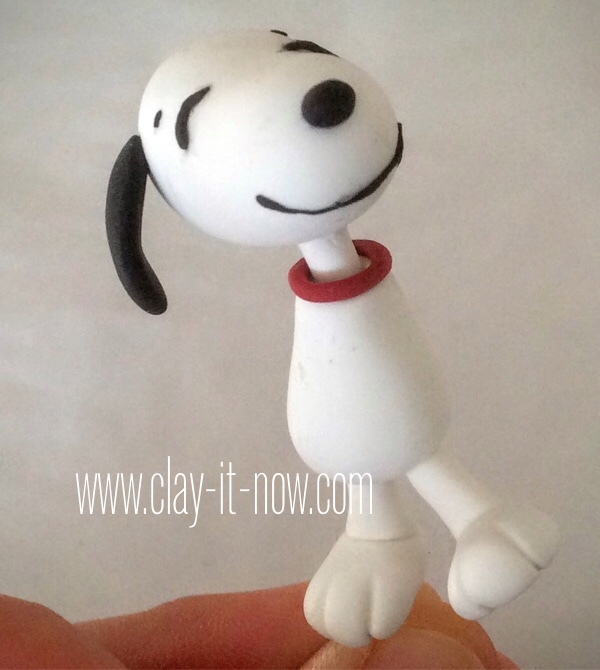 We use air dry - light clay for the dog and cold porcelain clay for Charlie. 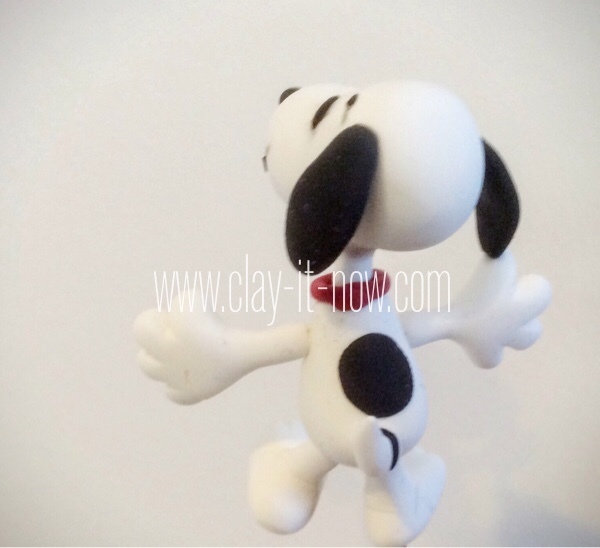 Other type of clay like oven-baked polymer clay is a good choice too if you are familiar with it. Let's start with the dog's head. Roll a well-kneaded white clay to a ball clay shape, and then re-shape it to oval shape and then press the middle top part. 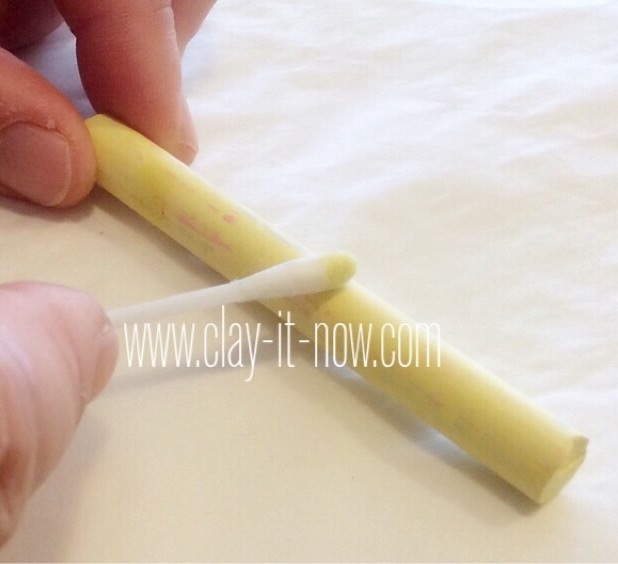 Insert toothpick and cover the toothpick below the head with clay, for the neck. Leave this for few hours until the clay slightly dry so it wll not deformed when you touch it. 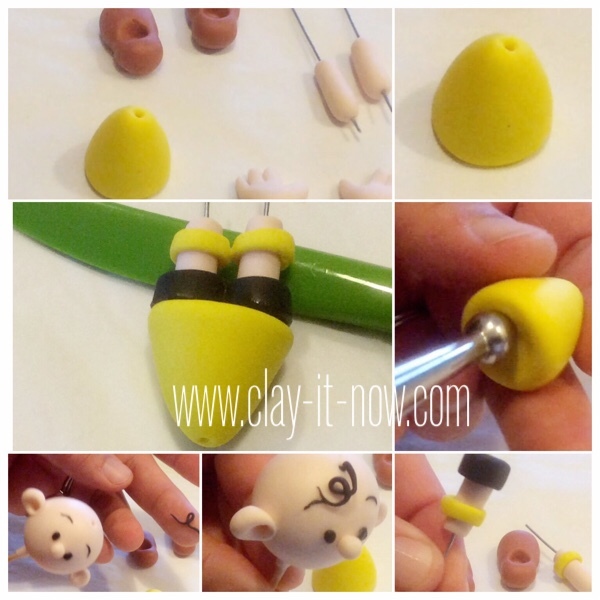 Take your black clay and make the ears, nose, smile, eyes and brows line with it. Next, let's make the body of our Snoopy. 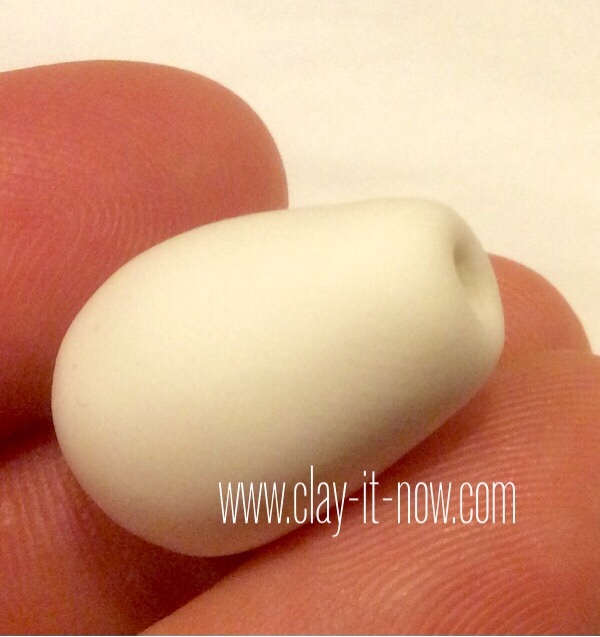 Start with ball and then tear drop clay shape. Press the sharp part lightly with finger and then with your small ball tool. Apply vaseline to the toothpick, insert it and take it out when it almost dry. We need the hole to insert the head later on. After that, let's make the dog's legs like the above picture. Insert wire or toothpick to each of leg and attach the leg to the body. Leave this to dry in room temperature if you use air dry clay or put this in the oven if you use oven-baked polymer clay. Insert the dog's head to the body and and the neck chain. Ehm...we are almost there. The above picture is showing you the step I did to make the hands. Finally add the tail and the black patch at the back of the body. It's ready! You can insert the wire or the toothpick on the legs to the base. I used colored chalk to make Charlie's shoes look like seasoned leather shoes. 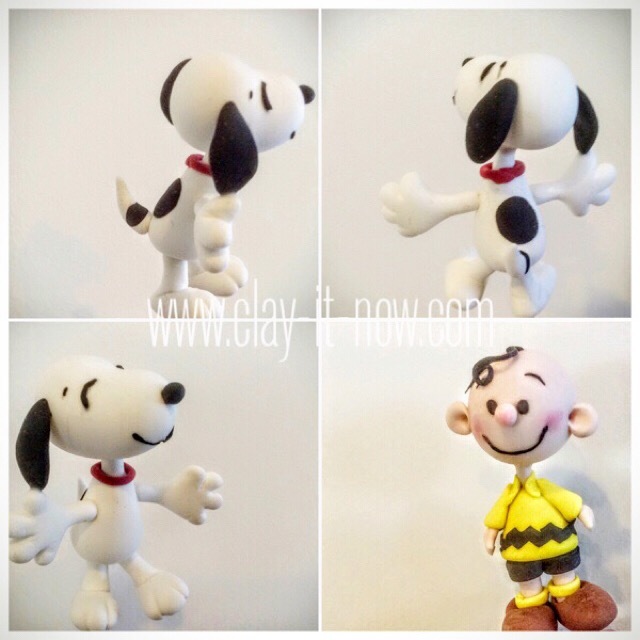 If you make Snoopy and Charlie Brown figurine following our tutorial, we would love to see your creations. Please share the image with us at this page.